 Campaigners have been changing their Facebook profile pictures to red to show their solidarity with the people of Aleppo. Please note, this article was last edited on the morning of 15th December 2016 and may not reflect the latest news on the developing situation in Aleppo. The city of Aleppo is a key battleground in the Syrian civil war and has seen intense fighting since 2012. On Tuesday morning, the city fell to government forces amidst claims of severe human rights abuses and deteriorating conditions on the ground. Throughout the conflict, the city has been split between two major warring factions: the pro-Assad forces, backed by Russia, Iran and other Shia groups, holding the western part of the city, and the Syrian rebel groups, backed by Turkey, Saudi Arabia and the United States, claiming the east. Other groups, including armed terrorist factions and Kurdish militias, are also involved in the conflict and maintain smaller territory throughout the city. Reports claim that the Kurds have been cooperating with the Assad regime to oust rebel groups from the city. On November 27th pro-government forces launched a major offensive to take over rebel-held East Aleppo. The campaign came after a US brokered ceasefire crumbled. Using Russian and Syrian air forces to bomb the city, as well as ground forces, the campaign has killed hundreds and displaced thousands of civilians. There are reports that the rebels groups have prevented some civilians from fleeing, trapping them in the besieged East Aleppo region. Other sources claim that civilians and fighters fleeing to government held areas have been detained or have gone missing. Human Rights Watch reported that, “hundreds of men may have disappeared after leaving eastern Aleppo for government-held areas, raising concerns about extensive arbitrary detention, and enforced disappearances.” Both the UN and human rights groups have called for an end to arbitrary detention, citing international human rights and humanitarian law. In what seemed like a sign of progress, late on Tuesday evening a ceasefire was brokered by Turkey and Russia to end the fighting and to allow any remaining rebels and all civilians to flee the city. Iran, however, intervened and reports from Wednesday morning describe renewed shelling as Shia militias prevent evacuation efforts. According to Al Jazeera, Iranian militias believe that they are winning and “must finish off the opposition, rather than allow them to leave the city alive.” Civilians on the ground have expressed fear and anguish over these developments and continue to call for the organization of a safe passage out of the city. Over the past week of increased bombing and fighting the UN Human Rights Office, reported summary executions by government forces and relentless bombardment of civilian populations in East Aleppo. At least 82 civilians have been executed, and numerous more casualties have undoubtedly gone unaccounted for. Human Rights Watch, drawing from sources on the ground in Aleppo, has also reported dire conditions. They described areas where entire families have been slaughtered and bodies have been left on the streets, because people are too afraid of being shot to leave their shelters to bury them. The group has published desperate appeals for the safe passage of civilians and made calls for aid throughout the bombing campaign. Their pleas have gone mostly unanswered, as civilians remain trapped in the city without adequate resources. For many, hope has dissipated. Trapped civilians have used social media platforms to post statements and videos calling for aid, admonishing the international community for its silence, and saying their last goodbyes as their situation becomes more dire. The offensive in Aleppo comes after five years of fighting across Syria, which has led to one of the largest exoduses of refugees in modern history, and countless instances of human rights abuses. As early as 2013, reports of chemical gas attacks revealed the cruelty of the Assad regime. Along with these inhumane attacks, human rights groups have documented repeated use of barrel bombs to target civilian populations. This latest campaign has been no exception in the use of cruel tactics, and continues to reveal the blatant disregard for human life by the Assad regime and its supporters. The fall of Aleppo gives the government forces control over all major population centers in Syria, and may bring closure to a civil war that has dragged on since 2011. Indeed, Russian aid in recent months has bolstered the flailing government forces and may tip the scales in their favor. Despite these developments, all sides have affirmed their commitment to continued fighting, guaranteeing ongoing suffering for the people of Syria. The UN High Commissioner for Human Rights, Zeid Ra’ad Al Hussein, has released the following statement in the face of the recent attacks: “The world is watching Aleppo – and we are documenting the violations being committed against its people, with the firm conviction that one day those who are responsible will be held to account. We must ensure that this happens. The hellish suffering to which the people of Syria are being subjected must stop.” Al Hussein’s words are a powerful addition to the growing global movement calling for an immediate stop to the atrocities being committed in Aleppo. The international community can, and must, do more than standby and watch as people continue to be slaughtered in Syria. *Merrin Meltzer is a MSc in Human Rights student at LSE. She received her undergraduate degree from the University of Delaware in political science and computer science. She is very interested in the migrant crisis and the solutions available to migrants and refugees globally. She has worked as an intern for the International Rescue Committee in Salt Lake City, Utah and the Nationalities Service Center, which aims to provide refugees and immigrants in the Philadelphia area with the legal and social resources they need to create a stable life in the United States. This entry was posted in Activism, Aid, Discrimination, Humanitarian Emergency, Law, Politics, Refugees, Torture, Uncategorized, War. Bookmark the permalink.